Reshape identifies and partners with the most innovative financial technology companies around the world to provide an ongoing advantage for clients. Reshape’s integration of leading technologies provides the highest security measures and delivers clients the most dynamic, responsive and cost efficient strategies available. Our partnerships continually evolve as fresh new technology is developed to improve client investment portfolios, anticipate market risks, reduce costs, reduce taxes, and provides total transparency. 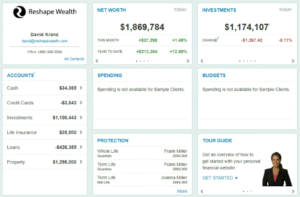 Reshape utilizes the Emoney Advisor, the premier technology available to monitor, track and update a client’s financial plan in real-time.The software allows Reshape to create simulations that show the probability of success and offers an interactive cash flow planning tool designed to depict different scenarios and see a client’s lifetime cash flow. It allows us to offer superior transparency, accessibility, security, and organization for everything that impacts our clients’ financial lives. Emoney also provides robust security and firewalls for all of the activity on their platform. Reshape developed multiple investment ETF allocations that automatically harvest client’s losses daily and rebalance to reduce taxes, minimize fees, keeping more money in our clients’ pockets. This investment approach on its own can help clients earn an additional 1% more per year than the typical investor. 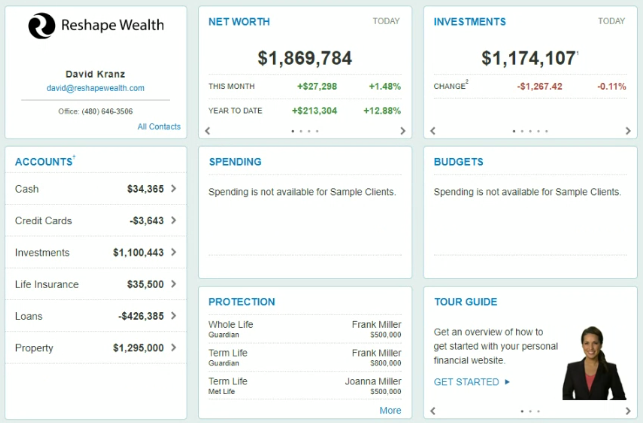 Reshape’s mobile platform provides clients with a clear view of their financial plan, cash flow, investment performance, and fees. Clients have the ability to sync accounts, such as bank accounts and additional investments, with a single click. This allows them to see their total wealth and understand how all of their investments, assets, and income are working together to achieve their goals. This award-winning technology integrates portfolio accounting, rebalancing solutions, financial planning and custodial systems for Reshape’s clients. Their platform is also protected by multi-factor authentication login methods for additional security and account protection.